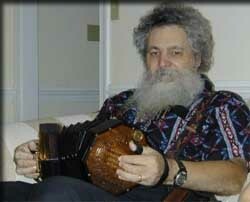 DoN Nichols' plays concertina and has set up a website for concertina players. Although this doesn't seem to have been updated for many years you will find lots of useful information including tour of a concertina, tuning a concertina, repairs, a table of serial numbers to help you figure out the age of a Wheatstone concertina and a formula that may help with the age of a Lachenal. Check out the DoN Nichols' website for more information. Check out Ireland Roots for researching your Irish Family History.